August 6, 2016 – SBW: Jake Atlas defeated Robby Phoenix by disqualification. August 13, 2016 – OCCW: Koto Hiro defeated Jake Atlas. September 11, 2016 – CWFH: Chris Vice defeated Jake Atlas. September 17, 2016 – SBW: Douglas James defeated Jake Atlas. October 22, 2016 – Baja’s Stars USA: HATE (Che Cabrera, Rico Dynamite and Tito Escondido) defeated Darwin Finch, Douglas James and Jake Atlas. November 20, 2016 – UEW: Angelo Salvatore defeated Jake Atlas in the 1st round. December 2, 2016 – EWF: Juan Roman defeated Jake Atlas. December 3, 2016 – SCWA: Eli Everfly defeated Chris Kadillak and Jake Atlas in a 3-way match. December 10, 2016 – FCW: Eli Everfly defeated Donnie Suarez, Jake Atlas and SoCal Crazy in a 4-way match to win the vacant lightweight title. December 17, 2016 – SBW: Brody King defeated Jake Atlas. January 21, 2017 – MPW: Damien Smith defeated Jake Atlas. January 28, 2017 – AWS: B-Boy defeated Andy Brown, Jake Atlas and Suede Thompson in a 4-way match. February 4, 2017 – FCW: Jake Atlas defeated Brody King in the 1st round. Jesse James defeated Jake Atlas in the semi-finals. February 11, 2017 – FCW: Warbeast (Brody King, Jacob Fatu and The Almighty Sheik) defeated D’Marco Wilson, Guy Cool and Jake Atlas. February 24, 2017 – LWP: Durango Kid, Eli Everfly and Jake Atlas defeated Blood Eagle, Douglas James and Laberinto. February 25, 2017 – OWA: Fidel Bravo defeated Adrian Quest, Biagio Crescenzo, D’Marco Wilson, Dragox, Jake Atlas, Seraphim and Stigma in a 8-way elimination match. March 17, 2017 – SBW: Ruby Raze defeated Jake Atlas. March 18, 2017 – APW: Chris Kadillak defeated Jake Atlas. March 25, 2017 – EWF: Ty Ray defeated Jake Atlas. April 8, 2017 – DPW: Jake Atlas defeated Ty Ray. April 14, 2017 – PCW: Terex defeated Human Tornado, Jacob Diez and Jake Atlas in a 4-way match. April 15, 2017 – EWF: Dicky Mayer defeated Jake Atlas. April 22, 2017 – PCW: Jake Atlas defeated Jacob Diez. April 28, 2017 – SBW: Zokre defeated Jake Atlas by disqualification. April 30, 2017 – SCWA: Amazing Jr. defeated Alonzo Alvarez and Jake Atlas in a 3-way match. May 5, 2017 – EWF: HATE (Che Cabrera and Rico Dynamite) defeated Jake Atlas and Ty Ray by disqualification to retain the tag team titles. Jake Atlas was also in the rumble match won by Juan Roman. May 7, 2017 – SBW: El Odio de Rios defeated Jake Atlas. May 13, 2017 – EWF: Hard Knocks And Beat Downs (Jake Atlas and Ty Ray) defeated True Grit (Hoss Hogg and Jesse James). May 14, 2017 – CWFH TV Taping: D-Man and Jake Atlas defeated D’Marco Wilson and Damien Smith. May 20, 2017 – DPW: Jake Atlas defeated Onyx. May 27, 2017 – WC: Brody King defeated Jake Atlas in a dark match. May 28, 2017 – CWFH TV Taping: Tito Escondido defeated Jake Atlas. June 24, 2017 – MPW: Adrian Quest defeated Jake Atlas. July 7, 2017 – APW: The Classic Connection (Buddy Royal and Levi Shapiro) defeated Douglas James and Jake Atlas. July 14, 2017 – SBW: Tito Escondido defeated Jake Atlas. July 29, 2017 – AWS: B-Boy defeated Jake Atlas. August 18, 2017 – APW: Boyce LeGrande and Rik Luxury defeated Lion Power (Marcus Lewis and Will Hobbs), Douglas James and Jake Atlas & Bison Braddock and Will Cuevas in a 4-way tag team match. August 19, 2017 – AWS: Jake Atlas defeated Alonzo Alvarez. August 20, 2017 – AWS: Tristan Archer defeated Jake Atlas. August 26, 2017 – AWS: B-Boy defeated Chris Kadillak, Jake Atlas, Legacy, Lil Cholo and Suede Thompson in a 6-way elimination match. August 27, 2017 – CWFH TV Taping: The Bonus Boyz (Clutch and Sugar Brown) defeated Jake Atlas and Lucas Riley. September 2, 2017 – PCW: Mike Camden defeated Jake Atlas. September 10, 2017 – CWFH TV Taping: Pac 3 (Dan Joseph and Dylan Bostic) defeated Jake Atlas and Lucas Riley to retain the UWN tag team titles. September 22, 2017 – SBW: Suede Thompson defeated Jake Atlas by count-out. September 23, 2017 – CWFH: Jake Atlas defeated Chris Bey. September 29, 2017 – FCW: Eli Everfly defeated Jake Atlas to retain the lightweight title. September 30, 2017 – AWS: Che Cabrera, Jake Atlas and Steven Tresario defeated Chris Kadillak, Hector Canales and SoCal Crazy. October 15, 2017 – FCW: Corey Jackson defeated Jake Atlas. October 31, 2017 – SBW: Robby Phoenix defeated Jake Atlas. November 3, 2017 – EWF: The Souless Assassins (Blood Eagle and Laberinto) defeated Aerial Instinct (Jake Atlas and Lucas Riley). November 10, 2017 – APW: Jake Atlas was in the battle royal won by Chicano Flame. November 12, 2017 – CWFH TV Taping: Devin Sparks and Royce Isaacs defeated Jake Atlas and Lucas Riley to qualify for the PP3 2017 cup. November 18, 2017 – APW/GRPW: Jake Atlas and Keita Murray defeated Derek Slade and Richard Shhhnary in the 1st round. Jake Atlas defeated Keita Murray in the semi-finals. Chris Bey defeated Jake Atlas, Manny Faberino and Nate Coy in a 4-way elimination match to win the Young Lions Cup. 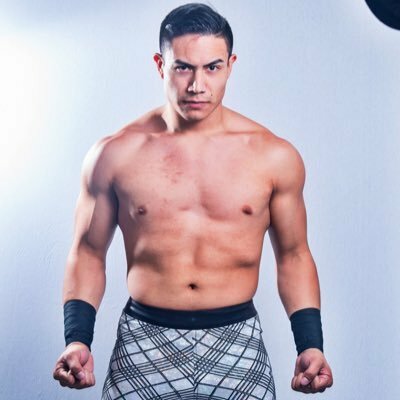 December 2, 2017 – AWS: Jake Atlas defeated B-Boy. December 3, 2017 – CWFH: The Spirit And The Star (Astro Viajero and Espiritu) defeated Aerial Instinct (Jake Atlas and Lucas Riley). December 8, 2017 – SBW: Eli Everfly defeated Jake Atlas and Matt Vandagriff in a 3-way match. December 23, 2017 – Ground Zero: Phase 1: True Grit (Hoss Hogg and Jesse James) defeated Aerial Instinct (Jake Atlas and Lucas Riley). January 6, 2018 – Amped: Amish Johnson and Hip Hop Harry defeated Aerial Instinct (Jake Atlas and Lucas Riley) and The Heavy Hitters (Biggie Biggz and Tony Raze) & AK Ramble (KC Douglas and Michael Hopkins) in a 4-way tag team elimination match. January 27, 2018 – AWS: Tyler Bateman defeated Jake Atlas to retain the heavyweight title. February 2, 2018 – SBW: Jake Atlas defeated Matt Vandagriff. February 3, 2018 – Ground Zero: Phase 2: Aerial Instinct (Jake Atlas and Lucas Riley) defeated AK Ramble (KC Douglas and Michael Hopkins). February 24, 2018 – PWR: Vapor defeated Jake Atlas. March 23, 2018 – PWG: Brody King defeated Douglas James, Eli Everfly and Jake Atlas in a 4-way match. March 31, 2018 – Ground Zero: Phase 3: AK Ramble (KC Douglas & Michael Hopkins) and B-Boy defeated Aerial Instinct (Jake Atlas & Lucas Riley) and Matt Vandagriff. April 21, 2018 – RPW: Doomfly (Delilah Doom and Eli Everfly) defeated Aerial Instinct (Jake Atlas and Lucas Riley) in the 1st round. April 28, 2018 – Ground Zero Phase 4: Jake Atlas defeated Daniel Moon. May 12, 2018 – WFC: Jake Atlas defeated B-Minus. May 18, 2018 – SBW: Dom Kubrick, Lucas Riley and Robby Phoenix defeated The Bomb Squad (Cameron Gates & Dylan Kyle Cox) and Jake Atlas. May 25, 2018 – PWG: Rey Horus defeated Jake Atlas. June 2, 2018 – Ground Zero Phase 5: Eli Everfly defeated Jake Atlas. June 8, 2018 – PCW ULTRA: Darby Allin defeated Ace Romero, Eli Everfly and Jake Atlas in a 4-way match. June 22, 2018 – APW: Douglas James and Jake Atlas defeated The Black Armada (Papo Esco and Synn). July 12, 2018 – QPW: Artemis Spencer defeated Jake Atlas. July 14, 2018 – Ground Zero: Phase VI: Jake Atlas defeated Jorel Nelson. July 21, 2018 – AWS: El Mariachi Loco defeated Jake Atlas. Andy Brown defeated Jake Atlas. July 27, 2018 – PCW ULTRA: Rich Swann defeated Jake Atlas and Matt Cross in a 3-way match. August 17, 2018 – APW: Ultimo Dragon defeated Jake Atlas. August 18, 2018 – AWS: True Grit (Hoss Hogg and Jesse James) defeated Aerial Instinct (Jake Atlas and Lucas Riley). August 18, 2018 – Ground Zero: SEVEN: Jake Atlas defeated Matt Macintosh. August 19, 2018 – AWS: Aerial Instinct (Jake Atlas and Lucas Riley) defeated Dom Kubrick and Ty Ray. August 25, 2018 – RPW: Andy Brown defeated Jake Atlas in a best 2 out of 3 falls match. September 5, 2018 – NHW: Fred Rosser defeated Jake Atlas. September 7, 2018 – PCW ULTRA: Puma King defeated Jake Atlas and Maxx Stardom in a 3-way match. September 21, 2018 – APW: Jake Atlas defeated Puma King and Sam Adonis in a 3-way match. September 29, 2018 – Ground Zero: The 8th Phase: Doomfly (Delilah Doom & Eli Everfly) and Matt Vandagriff defeated The Bomb Squad (Cameron Gates & Dylan Kyle Cox) and Jake Atlas. October 12, 2018 – SBW: Jake Atlas defeated Dom Kubrick. October 13, 2018 – WCPW: Jake Atlas defeated Mike Camden and Tyler Bateman in a 3-way match. October 20, 2018 – AWS: Ray Rosas defeated Aerial Instinct (Jake Atlas and Lucas Riley) by disqualification in a handicap match to retain the tag team titles. October 26, 2018 – PCW ULTRA: Jake Atlas defeated Chris Bey, Eli Everfly and Marko Stunt in a 4-way match to become #1 contender for the light heavyweight title. October 27, 2018 – Ground Zero: NINE: Dom Kubrick defeated Alonzo Alvarez, Jake Atlas and Lucas Riley in a 4-way match. November 2, 2018 – APW: Nate Coy defeated Jake Atlas to retain the junior heavyweight title. November 3, 2018 – LAL Episode 1: Adrian Quest defeated Jake Atlas, Owen Travers and Tyler Bateman in a 4-way match. November 16, 2018 – GCW Joey Janela’s LA Confidential: Jimmy Lloyd defeated Chase Owens, Delilah Doom, Facade, Jake Atlas, Kikutaro and Takeshi Minamino in a 7-way match. November 23, 2018 – SBW: Jake Atlas defeated Tyler Bateman to become #1 contender for the SBW title. December 7, 2018 – PCW ULTRA: Jake Atlas defeated ACH. December 8, 2018 – Ground Zero: Champion: Jake Atlas defeated Dom Kubrick in the semi-finals. Andy Brown defeated Jake Atlas in the semi-finals. December 21, 2018 – SBW: Jake Atlas defeated Brody King to win the SBW title. December 30, 2018 – SFP: Jake Atlas defeated The Jungle Boy. December 31, 2018 – Bar Wrestling 27: Brian Cage defeated Dan Barry, Jake Atlas and Ryan Taylor in a 4-way match. January 18, 2019 – PCW ULTRA: Jake Atlas defeated Douglas James, Eli Everfly, Fidel Bravo and The Oracle in a 5-way match to win the vacant light heavyweight title. January 19, 2019 – The Crash: Oraculo defeated Jake Atlas. January 26, 2019 – AWS: Jake Atlas defeated Matt Cross. January 31, 2019 – Bar Wrestling 29: Brian Cage defeated Jake Atlas. February 1, 2019 – APW: Jungle Boy defeated Jake Atlas and Marcus Lewis in a 3-way match to retain the junior heavyweight title. February 20, 2019 – Bar Wrestling 30: Heart Eyes Emoji (Heather Monroe, Jake Atlas and Ray Rosas) defeated Dances With Wolves (Kris Wolf, PJ Black and Taya Valkyrie) in the 1st round. February 21, 2019 – Bar Wrestling 31: Heart Eyes Emoji (Heather Monroe, Jake Atlas and Ray Rosas) defeated The WattsNES Monsters (Eric Watts, Johnny Yuma and Kevin Martenson) in the semi-finals. SoCal Uncensored (Christopher Daniels, Frankie Kazarianand Scorpio Sky) defeated The Carnies (Kerry Awful, Nick Iggy and Tripp Cassidy) & Heart Eyes Emoji (Heather Monroe, Jake Atlas and Ray Rosas) in a 3-way tag team match to win the tournament. February 22, 2019 – SBW: Jake Atlas defeated Matt Vandagriff to retain the SBW title. February 24, 2019 – SFP: Jake Atlas defeated Douglas James. March 1, 2019 – PWG: Jungle Boy defeated Jake Atlas and Trey Miguel in a 3-way match. March 2, 2019 – GPW: Tony Deppen defeated Jake Atlas. March 8, 2019 – IMPACT Wrestling: Ace Austin defeated Jake Atlas. March 13, 2019 – Bar Wrestling 32: Doomfly (Delilah Doom & Eli Everfly), Jake Atlas and Tyler Bateman defeated The RockNES Monsters (Johnny Yuma & Kevin Martenson), Eric Watts and Ryan Taylor. March 15, 2019 – SBW: Jake Atlas defeated Slice Boogie to retain the SBW title. Featuring @iamjakeatlas @DouglasJamesPro @JoeyRyanOnline @DashingChrisBey @EliEverfly plus many, many more!! @RobertCollard @iamjakeatlas @JoeyRyanOnline @BarWrestling @JoeyRyanOnline finally learned some self defense.